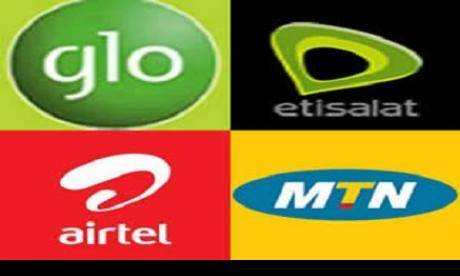 Nigeria’s Telcos struggle for survival – Royal Times of Nigeria. Telecommunications operators in the country once seen as flourishing are today battling to survive due to unfavourable economic policies being implemented by the government. Code Division Multiple Access (CDMA) operators had faced similar problems which culminated in the collapse of all the operators in the subsector of the industry. When it started, stakeholders cried out to government and Nigerian Communications Commission (NCC) for intervention to save the operators of imminent distress to no avail. Today, both Tier 1 and Tier 11 operators are having to cope with the same challenges including inability to access foreign exchange to expand their networks for improved quality of service to unreasonable data pricing which operators are urging NCC to revisit. “Another biggest challenge we are facing today is cost of tower rentals which has continued to increase over the year. It is funny, that international capacity cost has reduced by 50 per cent while tower rental cost is increasing unabated. Imagine a situation where cost of tower rental in three times our salary cost,” he added. He explained that the tower rental contract is usually signed for a period of 5 to 10 years with a clause of annual cost review based on inflation. “Today, inflation in the country has risen by over 100 per cent necessitating the astronomical increase in the cost of tower rental in the country making the cost in Nigeria the highest in the world,” he said. He noted that the failure of Multi-Link was as a result of tower rental indebtedness to a tower company Helios Tower which eventually took over the company. Olushola Teniola, president of another industry advocacy group, Association of Telecommunication Companies of Nigeria (ATCON) also harped on the data price floor issue and said that “Without a review of the data services provisioning market structure, there is a serious risk of market failure with the resultant ripple effect. Current evidence suggests that with inflation at 17%, input costs at a per unit per Mb level, that retail data prices available on the market are unsustainable even with economies of scale, hence a serious distortion exists that needs immediate regulatory intervention. Engr. Gbenga Adebayo, chairman, Association of Licensed Telecommunications Operators of Nigeria (ALTON) also called on NCC to revisit the data floor price determination in order to save and encourage small operators in the sector. “Data floor price determination is meant for small operators not for big operators who will still survive with the present situation. We are trying to avoid a situation where CDMA operators died because of price war. If data price is determined, it will encourage small operators in the sector. We need to look at it beyond public sentiment and emotions around it and revisit the issue for the growth of the industry,” he said.